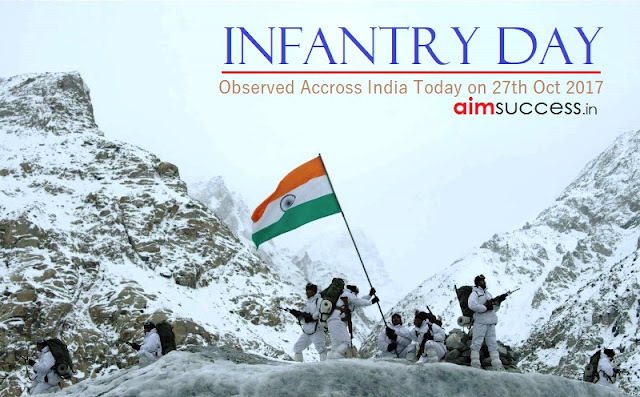 Indian Army celebrates 70th Infantry Day today. Indian Army observed the 70th Infantry Day on 27th October 2017. This day is observed to honour the sacrifices made by the infantry in 1947’s Jammu and Kashmir fight against Pakistan. PM Narendra Modi greeted all the infantrymen on this day during his 2-day visit to Uttarakhand. Vigilance Awareness Week to be observed by CVC. CVC (Central Vigilance Commission) is going to observe the Vigilance Awareness Week from 30th October to 4th November 2017. “My Vision-Corruption Free India” is the theme of this year’s vigilance awareness week. The inaugural function of the week would be held on 30th October, in presence of Vice-President Mr M. Venkaiah Naidu, who would be the chief guest of the event. First set of Solar Plants of Indian Railways to be launched today. Railway Minister, Piyush Goyal announced the launch of the first set of Solar Plants of the Indian Railways. The plant would have a total capacity of 5-megawatt peak (MWp). Installed on the rooftops of New Delhi, Hazrat Nizamuddin and Anand Vihar railway stations, the plants will generate total 76.5 lakh units of solar energy annually. This power is expected to meet about 30% of the energy requirements of these stations. A special centre for Disaster Research inaugurated at JNU. Mr. Kiran Rijiju, Minister of State for Home Affairs inaugurated a special Disaster Research Centre at JNU (Jawaharlal Nehru University). Professor Amita Singh’s book, ‘Disaster Law, Emerging Thresholds’ was also released by Mr. Rijiju at this event. Amita Singh would be the first chairperson of this Special Centre for Disaster research. Jacinda Ardern officially sworn-in as the new Prime Minister of New Zealand. Dame Patsy Reddy, the Governor General of New Zealand signed the warrant for the official appointment of Ms Ardern as the new Prime Minister at Government House in the swearing-in ceremony at Wellington. New Zealand First Leader Winston Peters has been appointed as her deputy. Jacinda is the 3rd female and the youngest Prime Minister of the country. She has 31 cabinet ministers, ministers outside the cabinet and parliament undersecretaries sworn-in with her. India Sri Lanka ink MoU for Housing Project Deal. Sri Lanka has signed a Memorandum of Understanding with India for the construction of 1200 houses in Hambantota. India will provide an assistance of Rs. 600 million for building the houses. The agreement aims to help low income, homeless and landless beneficiaries of the area. 600 out of the 1200 houses will be built in the southern province. REPAIR, RNA Editing tool developed by the scientists. Scientists from The Broad Institute and Massachusetts Institute of Technology (MIT), US have developed an RNA editing tool in order to eradicate genetic diseases. REPAIR (RNA Editing for Programmable A to I Replacement) is based on the gene-editing tool CRISPR that can be used to modify DNA in cells. Eminent Malayalam Writer, Punathil Kunjabdulla passed away. Punathil Kunjabdulla, award-winning Malayalam writer passed away at the age of 77 in Kozhikode. Punathil was awarded the Sahitya Akademi Award for his work, ‘Smarakasilakal’ in 1980. He also won the Kerala Sathiya Akademi award for the same novel in 1978 as well as for ‘Malamukalile Abdulla’ in 1980. Delhi Olympic Games to be organised in December. Delhi Olympic Games will start from 9th December 2017 and the closing ceremony will take place on 18th December. Delhi State Olympic Association will organise this event. Yogeshwar Dutt, the Olympic wrestler has been confirmed as the brand ambassador of the event. 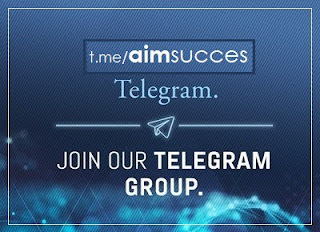 The event will be participated by almost 10000 players in 35 different disciplines of sports.